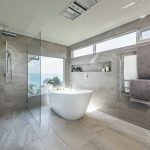 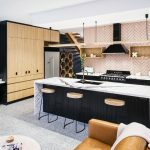 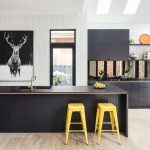 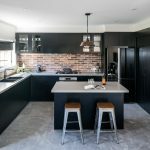 “The previous kitchen in this high-end apartment was impractical and did not utilise the space (or take advantage of the views it was accorded), which is what we set out to change. 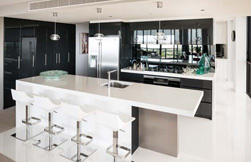 The kitchen is separated into three zones to suit the busy lifestyle of the clients, who love to entertain friends and family. 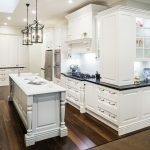 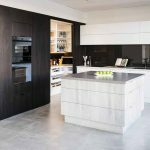 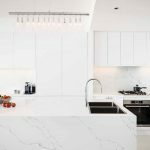 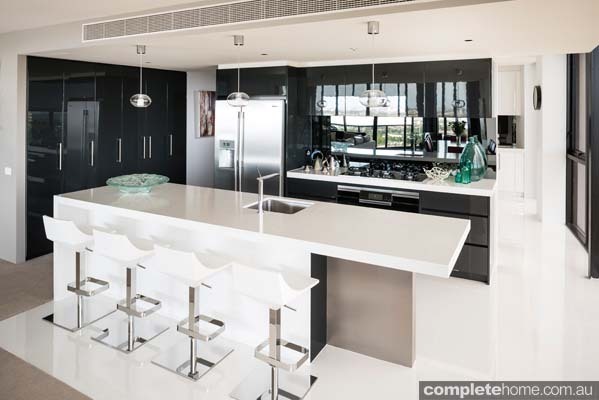 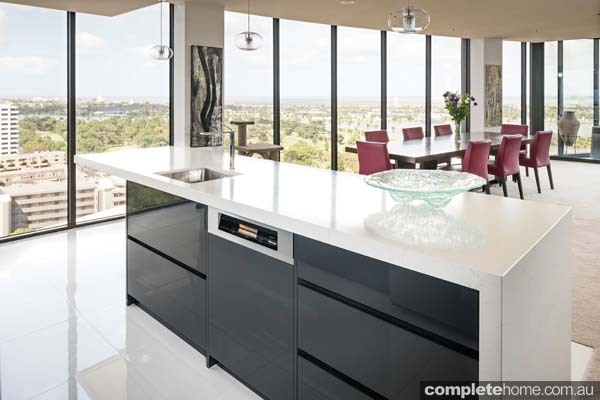 The first zone is the main kitchen and living area, which features a pristine white quartz island bench that is great for dining and entertaining. 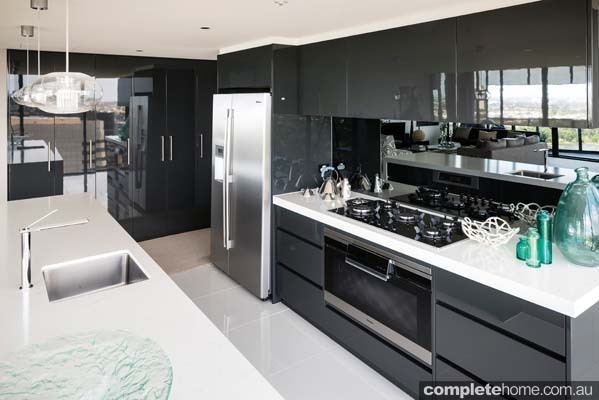 Luxurious details, such as handleless fittings and high-gloss finishes, create a sense of opulence. 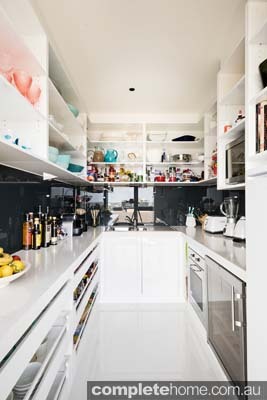 The second zone is a butler’s pantry that features ample shelving and cabinetry for maximum storage. 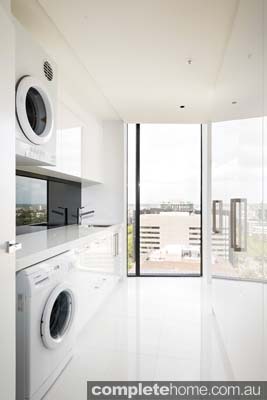 The pantry features plenty of benchtop space for meal preparation and small appliances, housing a wine fridge, oven, sink and microwave.